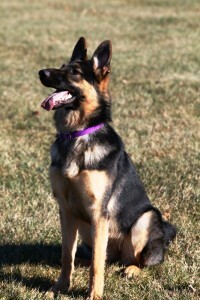 Lacey is a stunning, rich black & tan female. 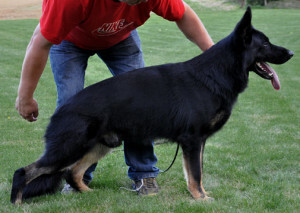 She is very intelligent, has incredible focus, dynamic drive, & and self confidence in protection. 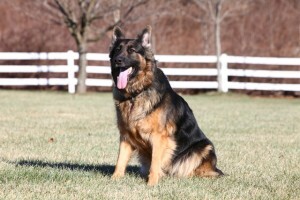 A very civil dog and can sense a threat with no intent on backing down by her nature. She is spirited, outgoing and athletic with extremely strong nerves. Even so, she licks faces and really just wants to play. Lacey is the type of well rounded German Shepherd that is what we are all about – Excellence in breed & performance.